" The victory celebration was hilarious. 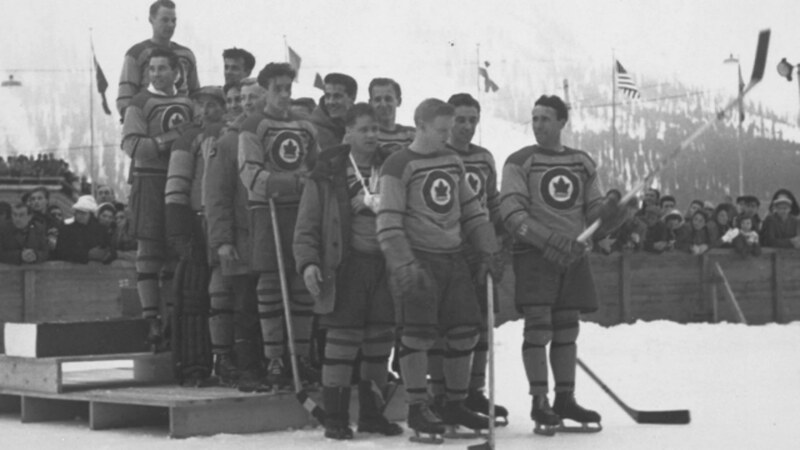 After posing for a group photograph in the middle of the ice with George Dudley, secretary–manager of the CAHA, the players clambered over the boards, yelling and whooping it up. " Rear (L to R): André LaPerrière, Hubert Brooks, Andy Gilpin, Ted Hibberd, A. Sydney Dawes, Head of the Canadian Olympics Association, Pete Leichnitz, Irving Taylor, Wally Halder, George Mara, Murray Downey, George McFaul, Frank Boucher, Sandy Watson, George Dudley, Head of the Canadian Amateur Hockey Association. 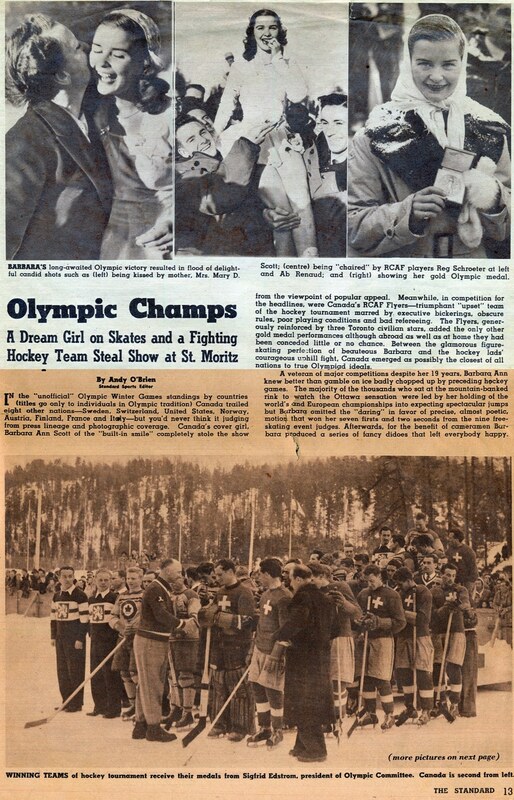 To the strains of Maple Leaf Forever (mistakenly substituted by the Olympic organizers as Canada’s national anthem), George Mara as the team captain, led the team to the top step of the rostrum, were we were presented with gold medals by Marcel Heninger, chairman of the Swiss Olympic Committee. Some players had tears in their eyes. 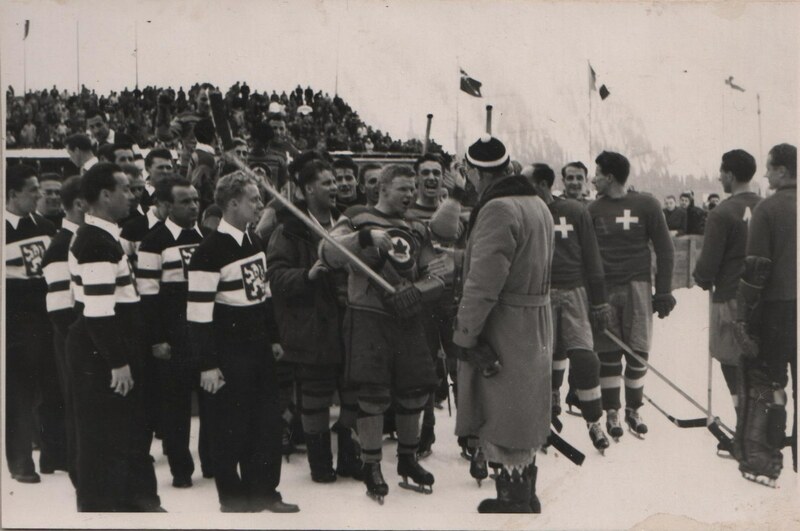 "I got a phone call from a fellow with the Swiss International Ice Hockey Federation. He asked me to come to a radio studio where a big surprise would await." It was a surprise alright. 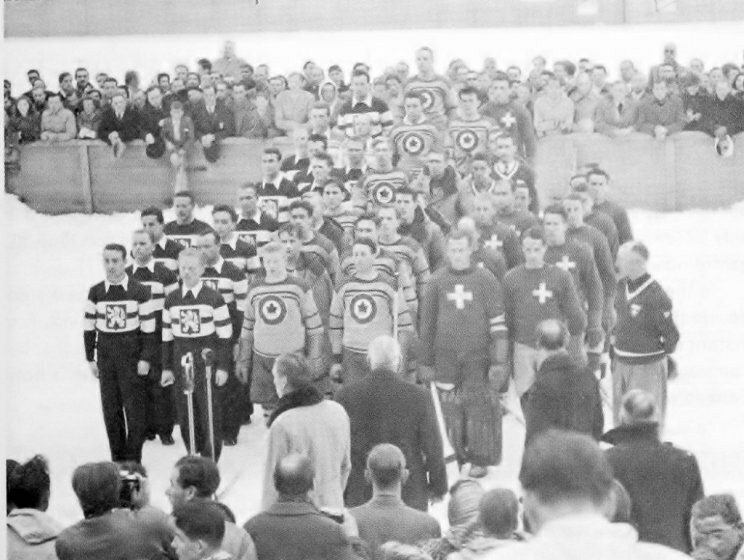 A Swiss official told him they were aware of the new anthem and, at such short notice, had phoned the Canadian Embassy in Berne asking for the music. The embassy didn’t have the music, but a secretary would sing it over the phone. As she did, the conductor of the Symphony Orchestra of Switzerland transcribed her singing into sheet music. That morning, before Watson arrived at the studio, the orchestra recorded the Canadian anthem. The song the secretary sang over the phone was The Maple Leaf Forever. She hadn’t heard of the new anthem either. 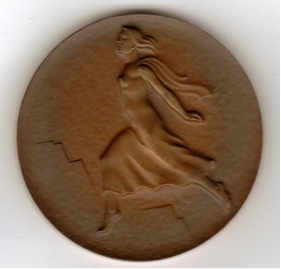 "The Swiss were so proud of what they had done. I didn’t have the heart to tell them this wasn’t our new anthem"
says Watson, with a chuckle. 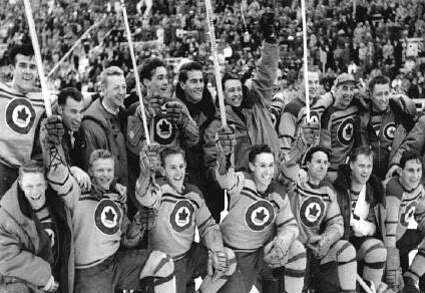 "So I decided to let it stand and that the Maple Leaf Forever would be our national anthem." 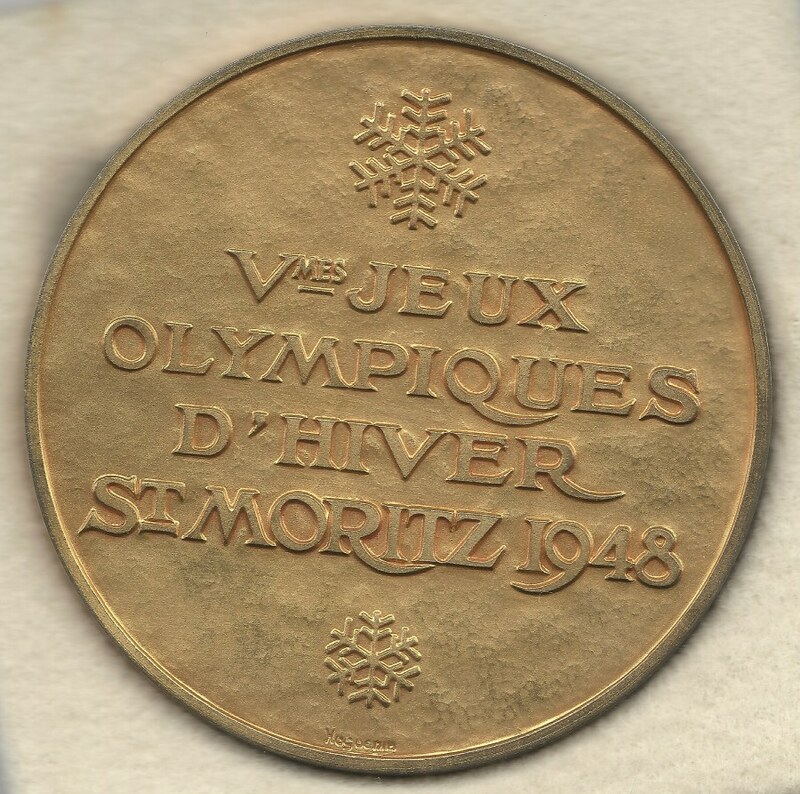 All Olympians were eligible to receive a "souvenir" participation medal as well. Closing ceremonies were starkly simple compared to the auspicious opening day festivities. 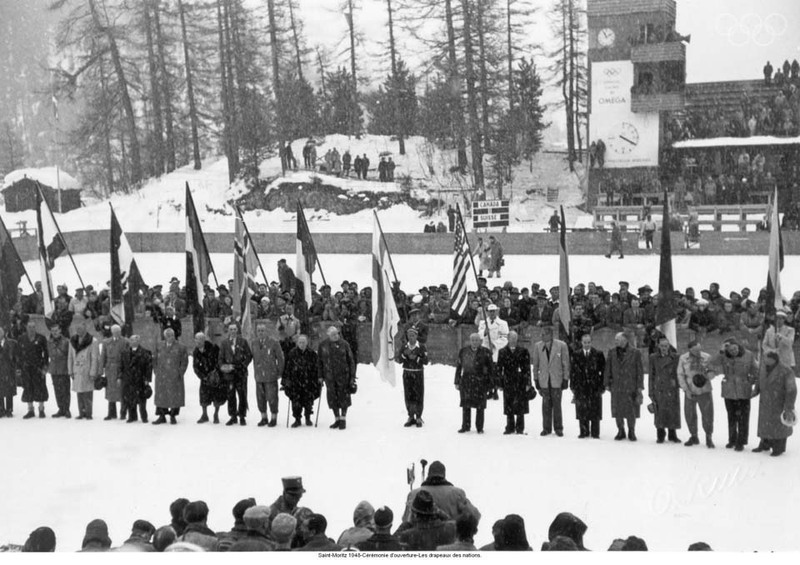 After the medal presentations, the Olympic torch was extinguished, flags of the nations were lowered, and the strains of the Swiss national anthem sounded in Olympic stadium. It was over. 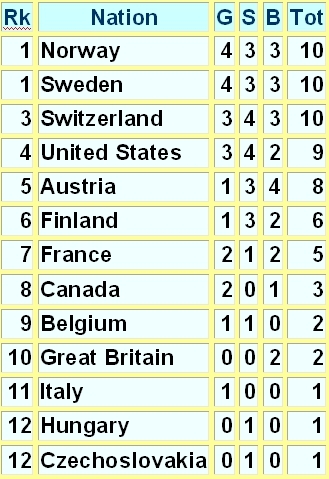 The Olympics were unquestionably successful, with 28 countries sending 828 athletes. 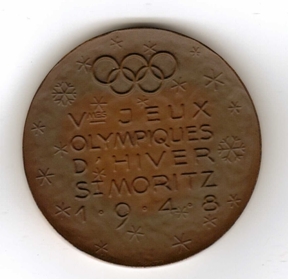 Alpine skiing became a major Olympic sport at St. Moritz. Canada’s Barbara Ann Scott further cemented her celebrity status. Canada’s R.C.A.F. Flyers were the surprise gold medal in hockey and Gretchen Fraser of the U.S. was the surprise winner of the first gold medal for the women's slalom event. In the dressing room we gave three cheers and a big tiger cheer for Coach Frank Boucher and Bob Halder who we voted "the best forward in Canada." Sandy Watson told the players; "Boys, what you have just done is going to be remembered for a long while." "Guys, I’m proud of you. I want to thank you all and that goes for the boys who didn’t play. You’re a great team and I knew you’d do it." "What you did was the greatest diplomatic feat of any group from Canada in my experience." 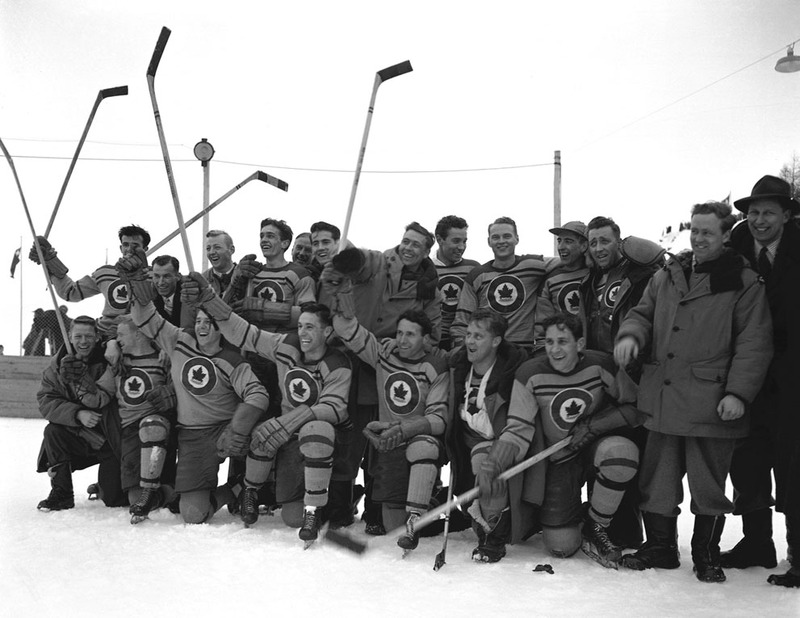 "Victory of our team will be received with rejoicing throughout all parts of Canada. On behalf of the Government and people I send to the members of the team heartiest congratulations on the splendid achievement in winning the Olympic championship." The Flyers were deluged with more than 200 cables of congratulations. 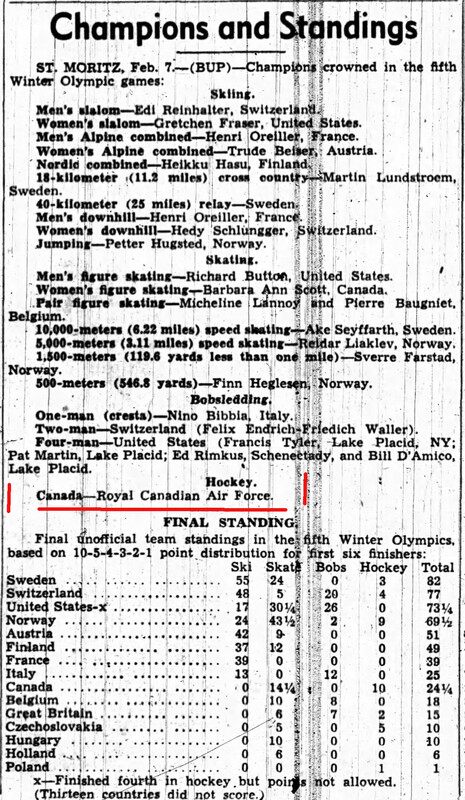 RCAF Headquarters sent "congratulations, well done" and Colin Gibson, Canadian MInister of National Defence for Air, in a telegram said he was proud to congratulate the Flyers on living up to their motto, Per Ardua Ad Astra (through adversity to the stars). "Heartiest congratulations to all members of the team for bringing such honor to Canada and to the RCAF". "All personnel of the armed services join me in extending warmest congratulations. 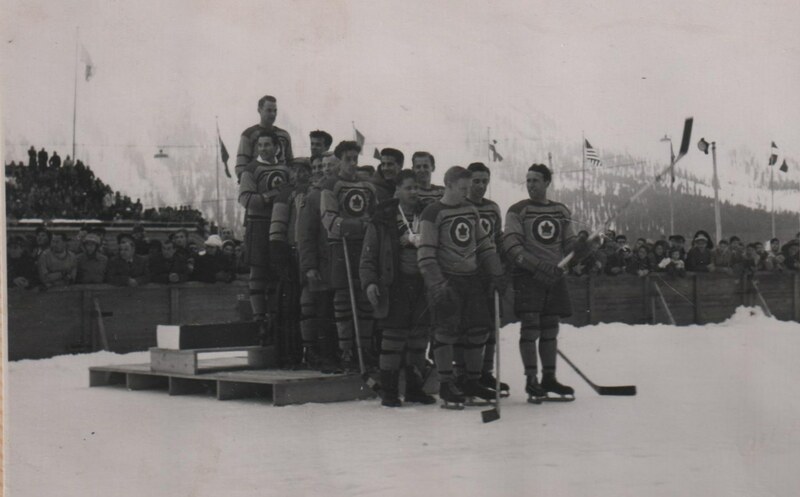 Your comrades are proud oy your victory and sportsmanship in accordance with the fine traditions of the RCAF. Best wishes for a successful tour and safe return"
"Canada's Olympic hockey victory is extremely gratifying. 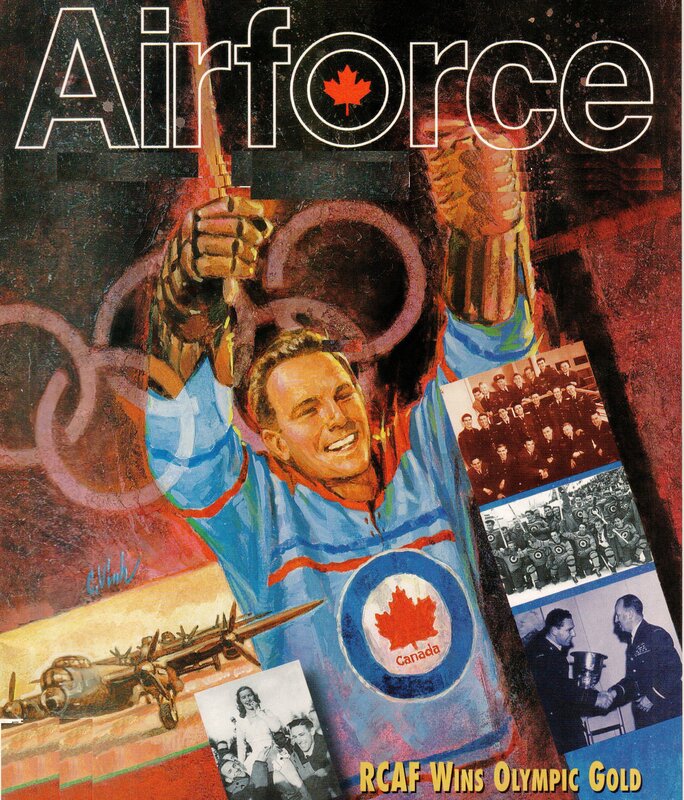 The CAHA appreciates to the full the co-operation of the RCAF in making it possible for Canada to enter a team." 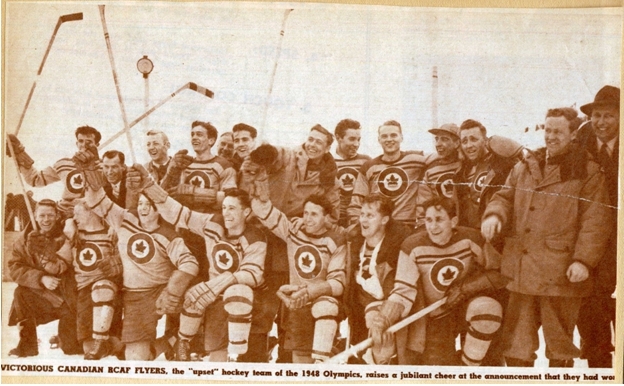 The Chiefs of the Naval and Army staffs at Ottawa also sent cheers for the Flyers' "outstanding showing". 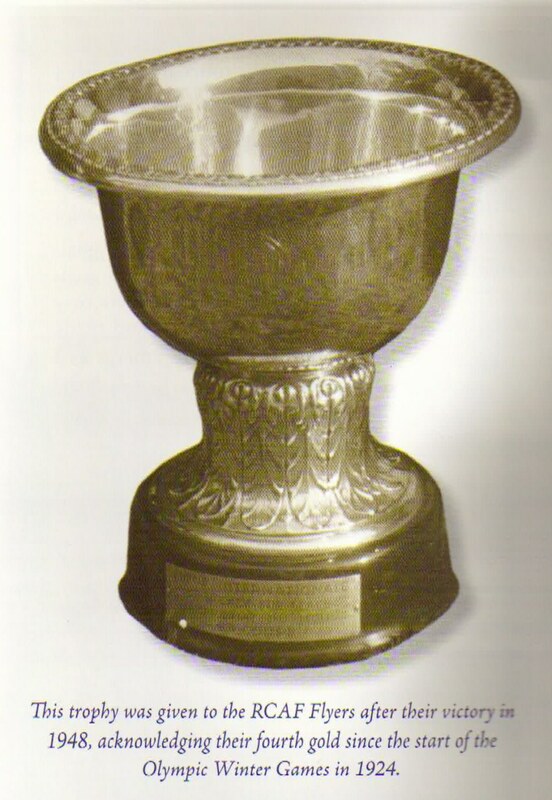 The British team, which won the championship in 1936 Olympics by defeating Canada in the finals 2-1, wired; "Congratulations to the new champions from the Ex__." "Congratulations, and what if it did cost me ten bucks!" and it was signed "Paw". The final compromise decision settling the hockey row disqualified the American AHA team for eligibility to a certificate of participation in the Olympics and removed them out of fourth position. 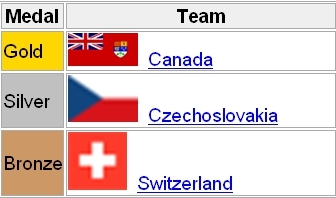 However the decision also swung the axe in two directions on the U.S. Not only did it cut the AHA; it slashed the U.S. out of second place in final team standings! The Flyers had struggled to adopt to international olympic rules forbidding hip checks, hitting near the boards, and playing the puck with a knee on the ice. As well, a player leaving the penalty box was expected to skate to his own blueline before returning to the play. "They're not used to bodychecking," George Mara said, "but how they hook and slash! We just sizzled every game we played, we were determined not to get mad. Ten minutes after we'd start, we'd be boiling." In one game, the incensed Mara bowled over two opponents before poking another in the nose with his fist. A female fan tossed sand in his face and he was temporarily blinded. A teammate got hit by a snowball as he rushed the puck. Looking back, along with the outstanding net minding of Dowey, both Halder and Mara – who had both flirted with professional careers– added the big punch in the Flyer attack. Reg Schroeter was also a great late addition to the team. 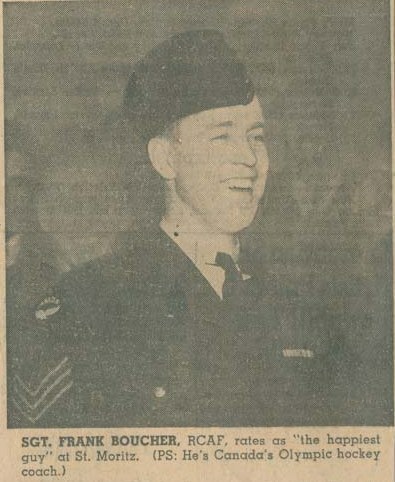 As coach, Frank Boucher should also be given a lot of credit for his single minded focus (perhaps shaped by the stinging memories of defeats in exhibition games and barbs of critics who claimed the team was not worry to be sent to represent Canada) for changing their "ganging" style of play, and adapt the old, defensive type of hockey which conformed with then current European hockey rules, which were vastly different than what we were used to in Canada. The consistent mantra of defensive backchecking, backchecking was a key factor in our eventual victory. 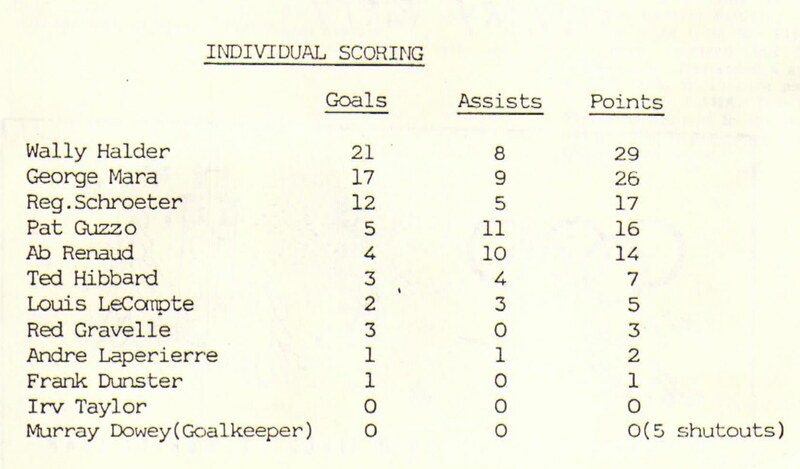 As important, Frank had taken Bunny Ahearne's strategic advice to heart by; use of only the best players to maximize the chances of scoring - whereas other countries rotated through their lineups, and by continuing to pour on (no mercy) and maximize the scoring even in the face of assured victories. Frank had molded the hockey talent into a winning combination. Well done Frank! But in the end it truly was a team effort with both defense and offensive team players leading to victory. "the team hit their stride and began to gel after our first win against Sweden." "We didn’t know how we were going to do and what the competition would be like. We had to play outdoors against people who had been playing for a long, long time. We noticed quite quickly the refereeing wasn’t up to the standards we were used to and the crowds were (cheering) for the other teams. We weren’t too popular." At the right moment the team gelled together. In the end we were just "a bunch of fellas" representing the 12,500,000 citizens of the Dominion of Canada and we did the unexpected and pulled it off ... we prevailed ... and oh but what a time we had! 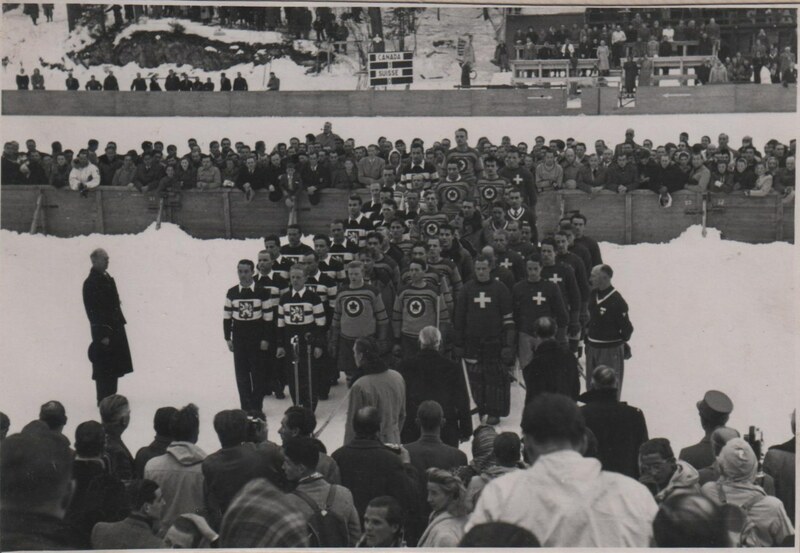 During the brief CLOSING CEREMONY spectators straggled across the rink for autographs with the flag carriers. 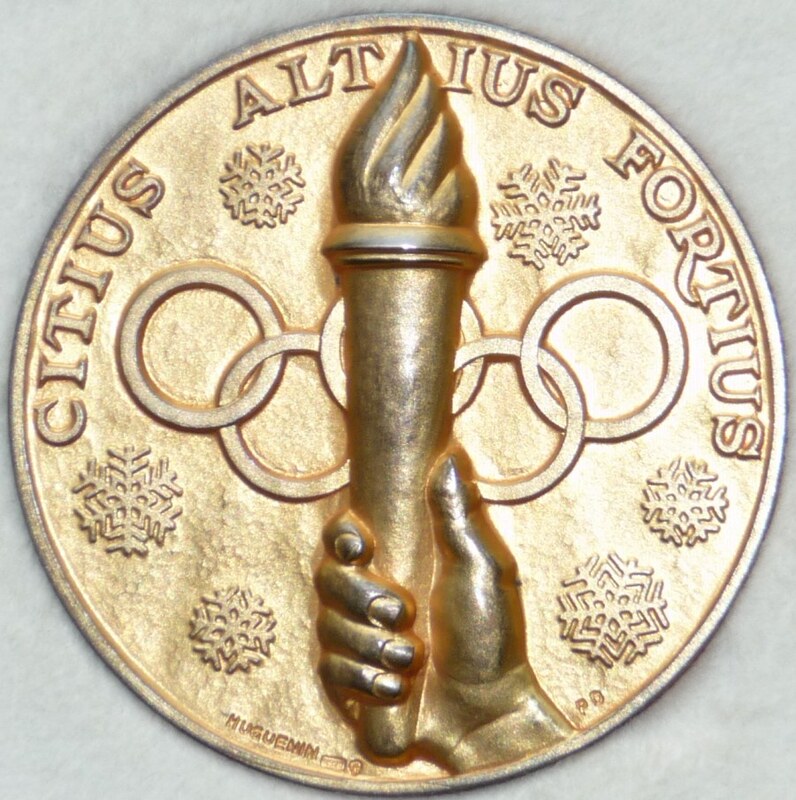 Finally, the Olympic torch, a two foot high flame springing from a bowl atop the modest tower in the main stadium, was extinguished and the 5th Winter Olympic games were over. YOU TUBE has a video archived where CBC SPORTS' Brian Williams interviews a number of the R.C.A.F. Flyers getting their perspective on events from the 1948 Olympics. Double Click YOU TUBE R.C.A.F. 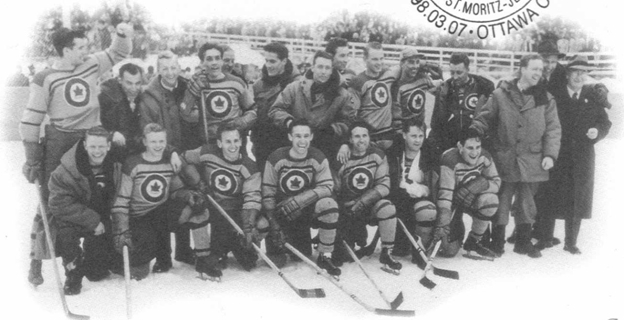 Flyers 1948 Olympic Hockey Gold Medalists to watch the video. The YOU TUBE commentary is as follows: "Video extract from CBC SPORTS "The Olympians" as narrated by Brian Williams. 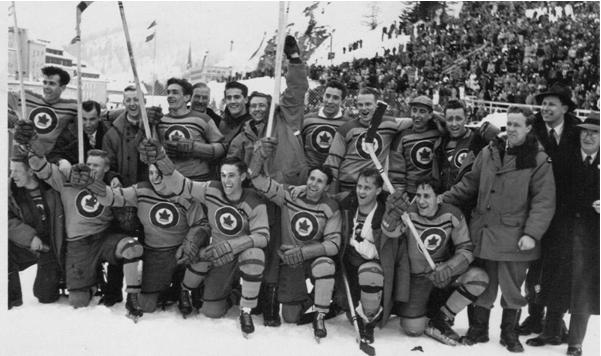 Summarizes the challenges faced in 1948 for Canada to produce a hockey team for the 1948 St. Moritz Olympics. Video summarizes some of interesting situations faced by Dr. Sandy Watson – Team Manager." 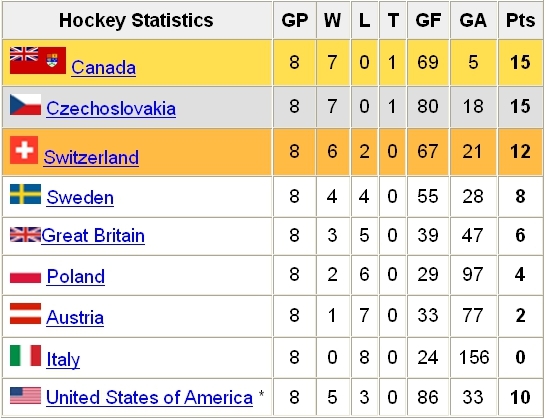 * The United States Hockey Team was disqualified. Only eight teams are officially ranked. 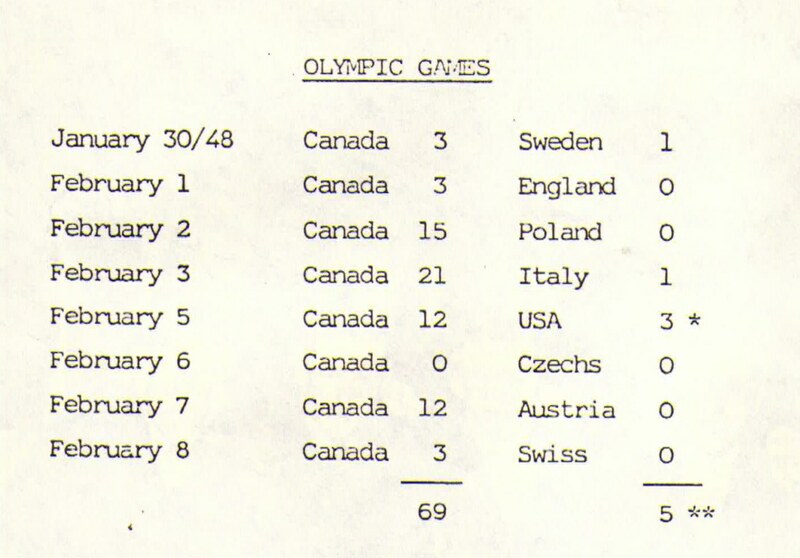 Interestingly the 1948 Winter Olympic Hockey Series produced some "records" that have lasted until the modern era. 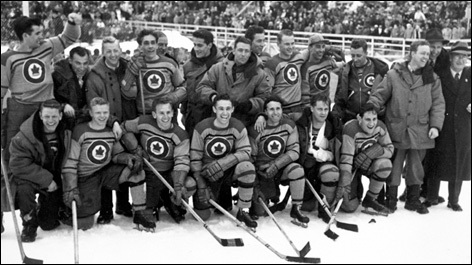 The web site NHL.com has Olympic Records in the "modern time" which is considered to be post WW2 ie 1948 to present day (2014). Canadians Suzanne Morrow and Wallace Diestelmeyer won the bronze medal in the pairs figure skating competition. They were the first to perform the so–called "death spiral" in international competition. Perhaps it should be mentioned in passing, that to further facilitate the celebration of our victory that night, George Mara through his father's firm the William Mara Company (importer of wines and spirits) presented each player with a bottle of liquor that day. And it was appreciated! 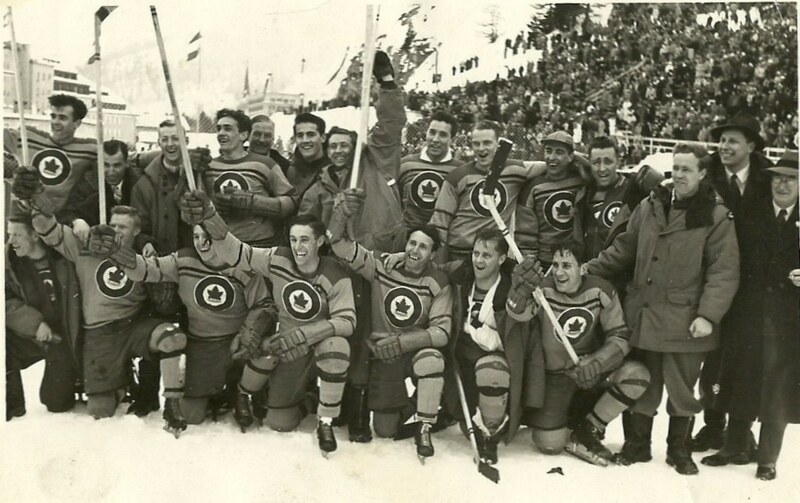 After we'd returned to our hotel and cleaned up, Group Captain Robert Cameron, then air attaché for Canada at Prague, held a reception for the team and the liquor flowed like water. This was my experience at the Fifth Winter Olympics ...... but on the day after the Olympics perhaps the best was yet to come.......!